Are you looking to create an online brand and establish a footprint in the online arena? Whether you’re a first time website owner and need to build a strategy from scratch, or you’re revamping your design, SearchReady is your final destination. SearchReady is a LIVERPOOL based Web Design Agency with years of experience and countless satisfied customers. Our professional team of experts are committed for providing the unparallel services tailored to the vision of your business. We have the skills and knowledge team of professional at San Francisco website design company who understand your vision and create a customized solution to represent your organization. 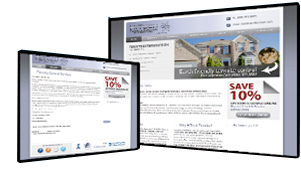 100% Custom Design– All of our websites are designed from scratch. We NEVER use templates. User Friendly – All of our sites are designed to make it easy for a site visitor to navigate and find what they’re looking for. Search Engine Friendly – Most designers don’t focus on SEO, and most SEO companies don’t provide Web Design. SearchReady is one of the few companies out there who do both very well. We know exactly what Search Engines are looking for when they crawl (read) your website. This gives you a HUGE advantage right out of the gate. All of our sites are designed with Search Engine guidelines in mind. Content Management System – A content management system allows you, the website owner, to login the backend of the website and make changes to the text, images, etc, with no html knowledge. No more paying high hourly fees, or waiting on a response for simple changes to your site. SearchReady aims to establishing long-term relations with our clients and to accomplish this, we provide them with the most reliable and cost efficient services. Visit today for free consultation.